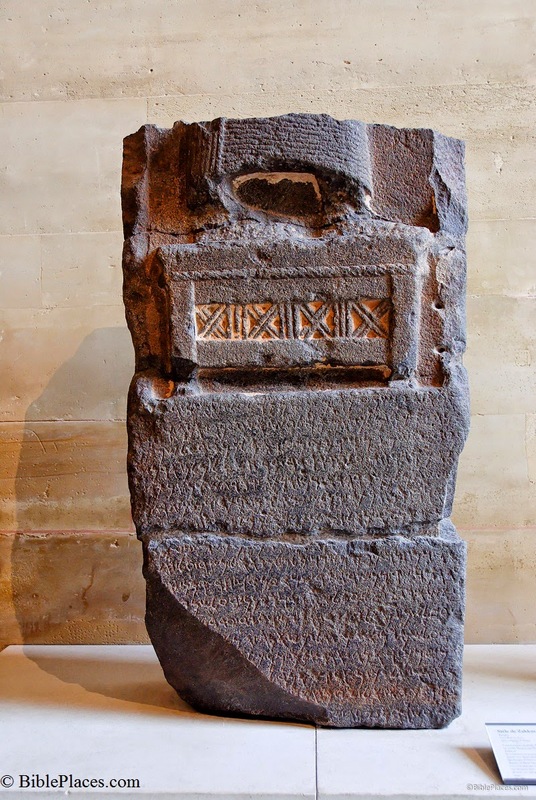 Of interest to historical studies is the interplay of the biblical text and this stela. To begin with, 1 Kings 19:15 says, "The Lord said to him [Elijah], 'Go back the way you came and go to the Desert of Damascus. When you get there, anoint Hazael king over Aram . . .'" (NIV). In comparison to this, the text on the stela reads, "I am Kakkur, king of Hamath and Luash . . Bar-Hadad, son of Hazael, king of Aram, united against me seventeen kings . . ."
In effect, we have a web of connections linking Yahweh, Elijah, the Bible, Hazael, and this stela. I've only just discovered your blog/website. Reading about your archeological connections to the Bible is very exciting. While my faith isn't dependent on the physical representations of the written word, I do so much like to see artifacts of the different era to have a tangible connection to the people, places, time. I think you have a wonderful ministry bringing to the world this connection. Thank you for your kind comments Greg. The Zakkur Stele also makes reference to the digging of a moat around "Hatarikka" and offers a nice connection to the Syrian siege moat surrounding Es-Safi (Gath).